Halogen, xenon, laser, and LED lighting systems are the four main types of bulbs available for use in automobiles. While halogen lights have been the standard for U.S. cars since the 1970s, a few carmakers are switching over to LED headlights for their products. LED lighting offers manufacturers a lot of flexibility in lighting design and more reliability in electric or hybrid cars. Some car owners purchase after-market LED lights to replace their halogen bulbs. Each type of headlight bulb comes with pros and cons. If you plan on switching your halogen bulbs to LED bulbs, be aware of the upsides and the downsides. Here’s what you should know. LED headlights are becoming more popular — and for good reason. They offer several benefits, as described below. One of the biggest reasons for the switch from halogen to LED lighting is the low power draw needed to run LED lights. LED headlights use only a fraction of the electricity necessary to run standard halogen headlights. Less power strain on your system means less wear on your battery and alternator. If you accidentally leave the headlights on when the car is not running, your LED headlights may not draw enough electricity to kill your battery. Your halogen lights, on the other hand, will render your battery useless without a jump-start if the headlights are accidentally left on for too long. Changing out headlight bulbs is a complicated process in some vehicles. If you replace a halogen bulb, experts warn you not to touch the glass enclosure of the bulb. Grease and other debris on your hands can transfer to the bulb glass. When that greasy or oily coating heats up, it can damage the halogen bulb and reduce its life span. LED lights aren’t as sensitive to the dirt on your hands. You don’t have to be delicate when changing LED headlight bulbs. This factor makes the onerous task of changing out bulbs far easier. Despite their advantages, LED headlights are not without problems. Here are a few disadvantages to keep in mind. Halogen bulbs are omni-directional. This means they emit light from the front and sides of the bulb. They provide adequate illumination of the road ahead and the sides of the road at the same time. LED lights emit light in a straight fashion from each diode. The light of an LED array is far more intense than the light produced by a standard halogen lamp, but that doesn’t necessarily translate into better illumination when driving. Unless you aim the LED bulbs properly, you end up with headlights that don’t show you as much of the road. If you change the height of your vehicle with different-size tires or a new suspension, you must reorient the bulbs. Otherwise, the lights will aim too high or too low for the safety of you and other drivers on the road. LED lights aimed too high can blind other drivers, while LED headlights aimed too low don’t reveal enough of the highway ahead. Standard halogen headlight bulbs heat up to around 4,500 degrees Fahrenheit. The heat they generate is effective at melting snow, ice, and freezing rain off the lenses of your headlights. LED headlights emit some heat near the back end of their fixtures. Some models include fans or braided heat sinks to dissipate the heat. However, the bulbs themselves create very little heat when running. They aren’t designed to melt snow off your vehicle’s headlight lenses. When you regularly drive in snowy or icy conditions, you end up with iced-over headlamp lenses while driving with LED fixtures installed. Automakers have created several designs to address this problem, but the fixes aren’t enough in many cases. If you drive in frigid, wet weather with LED headlights, experts recommend that you keep all of your car’s running lights on while driving. Stop frequently to check your lenses for icing and snow covering. You should clear all snow from the car when possible to avoid having the snow slide over your hood and onto your headlights. All headlights should be recalibrated by your body shop mechanic if you’re having trouble seeing the road. Some LED headlights need new lenses or specialty housing to reflect light properly on the road. Your mechanic can install these components without compromising the watertightness of the headlight assembly. You should also be aware that LED headlights are not permitted in some areas. Your local auto shop can tell you if LED lights are street-legal in your location. 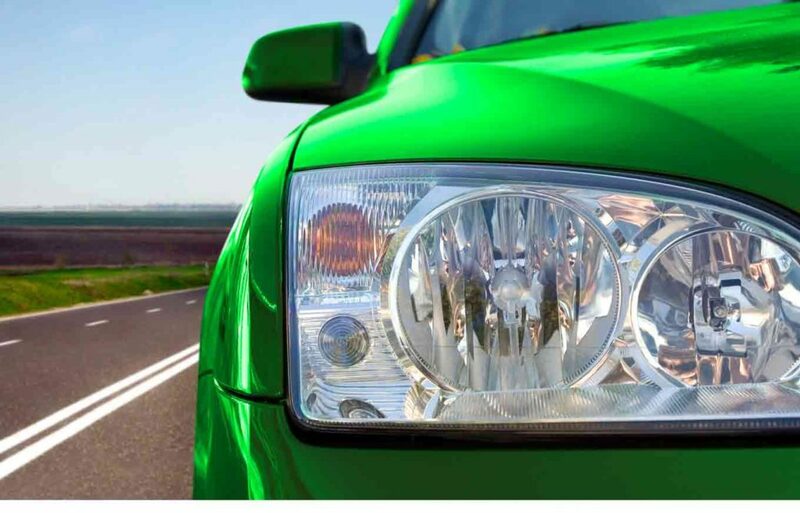 At Chehalis Collision Center, we recalibrate your headlamps to give you greater visibility. We also perform professional headlight replacement to give your vehicle a fresh look and a brighter view of all the roads you travel.